To see just cause and to not act, is lacking in courage. When one finds oneself in a situation where there is an obvious right and wrong, yet remains silent for fear of loosing face, they prove nothing and show that they lack in the ability to stand up for their own beliefs. As a warrior one should be ashamed of oneself. This is not to say that one should go out in search of conflict to show their strength, as this is foolishness as well. However; if conflict should present itself, one should have the courage, confidence and resolve to make themselves and their righteous beliefs known without fear of loosing something as trivial as public acceptance and stand up for what they believe in and have come to love. I hope that you all enjoy the lesson. Ninjutsu Scroll Study Series Part 11! After the lesson, make sure that you watch the second half as I teach a lesson in Hanbo-jutsu! Art of the Half Staff! Part 1 — Mr. Cummins talking about the kanji of the ancient scrolls and historical records! 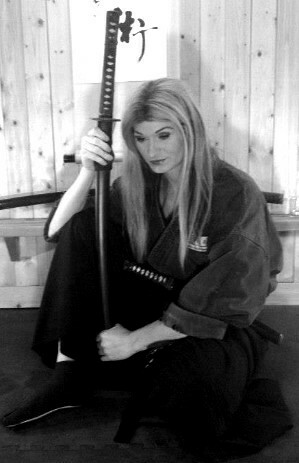 Part 2 — I will teach various techniques that are taught in the Budo Ryu – School of War! I hope that you enjoy the Study Series! There will be 20 lessons that will be placed up, all you will need to study along is the original japanese text of the shoninki and the ninpiden produced by the historical ninjutsu research team! This can be found on Amazon.com! Thank you all very much for all of your support! I hope that you enjoy the series and I hope that you enjoy the training from the Budo Ryu! As many of you know I keep a lot of the training away from the public, so I hope that you enjoy the lesson, the training and the series!